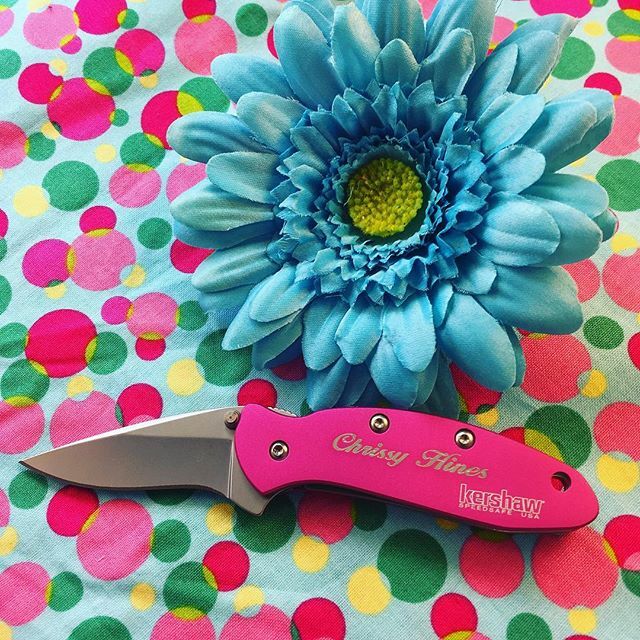 The Kershaw 1620PINK Pink Scallion knife features a straight edge blade and handle made of pink anodized aluminum. If pink is your color then this one is for you. Being just the right size for a pocket or a purse, the Kershaw Pink Scallion features an assisted blade that is activated by pushing the lever on the spine. When closed the blade is held in place by a safety integrated into the handle.